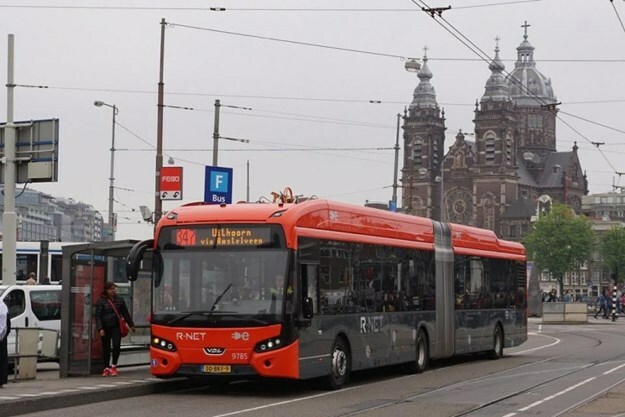 INSIGHTFUL DATA ANALYSIS by a leading critical think-thank advocates weight and financial incentive leniency for electric buses in Europe to help overcome the “fear” of embracing “a new and different technology”, according to a recent report. The report says if the EU and local mayors were to be seen to actively push for electric buses, transport authorities would be obliged to support this technology. Belgium-based Transport & Environment’s mission is to promote, at EU and global level, a transport policy based on the principles of sustainable development. According to its report Electric buses Arrive On Time – Marketplace, Economic, Technology, Environmentally and Policy Perspectives, For Fully Electric Buses in the EU, it recommends financial instruments, "…put forward EU funds for zero emission bus deployment, financing the upfront costs of electric buses," to overcome the, "...the fear of embracing a new and different technology", which it says "…are the biggest hurdles to the adoption of electric buses." It adds, "The EU could play a very significant role here and give a strong signal to industry and cities by creating a fund dedicated to the procurement of electric buses." "Such a fund could allow for municipalities or regional authorities to apply for EU grants. 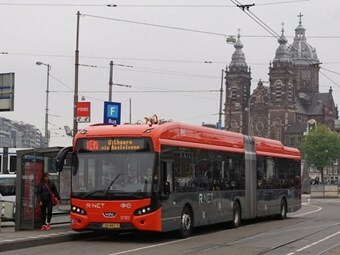 This grant could go up to several tens of thousands of euros and would reduce, if not eliminate, the concern of financing the purchase cost of the electric bus. "Allowing for municipalities to apply directly for such financing would remove the procedural bottleneck involved with applying for EU funds via federal transport ministries. If the EU and local mayors were to be seen to actively push for electric buses, transport authorities would be obliged to support this technology. "This signal would also be strong for the EU bus industry too as they would be confident in future demand for electric buses. In the past the European Regional Development Fund (ERDF) and Cohesion Fund have been used to grant 4 Million euros to Poland to fund the acquisition of 130 electric buses in Warsaw. "The buses should be in service by 2021 and will help to clean the air of the Polish capital," it explained. A far larger share of the ERDF should be earmarked for sustainable urban mobility with a large share of such a fund going towards the co-financing of electric bus fleets, it says. Furthermore, the precedent of grants offered for the purchase and retrofitting of rail wagons with low-noise technology could be applied to promote a grant for zero emission buses on a similar logic, it explains. "We propose that a sliding scale be applied by the member state GDP ranging from 30,000 euros to 50,000 euros per zero emissions bus." "For higher GDP countries, low-interest loans with longer repayment periods could be a good alternative to boost the procurement of electric buses. Taking this idea further, the European Investment Bank (EIB) could encourage cities and public transport authorities to coordinate applications for such loans. "This could involve working groups for cities and public authorities or, simply, online documents that outline how to apply for such loans. Such investment would help the EIB to achieve its own climate targets," it stated. 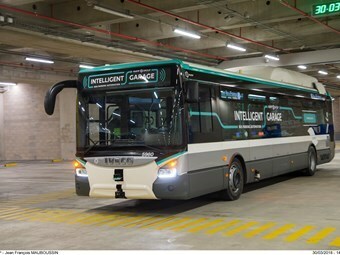 It cites the examples in Spain where the EIB has financed the purchase of 17 new "environmentally friendly buses" with a 50 million euro loan, while the city of Riga, Latvia, has benefited from a blend of CEF grants (8 million Euro) and an EIB loan (75 million Euro) to finance the acquisition of hydrogen buses and their infrastructure. Another financing option is the European Bank for Reconstruction and Development (EBRD), which has funded the acquisition of 15 electric buses in Sofia, due to be deployed in 2019, it says. 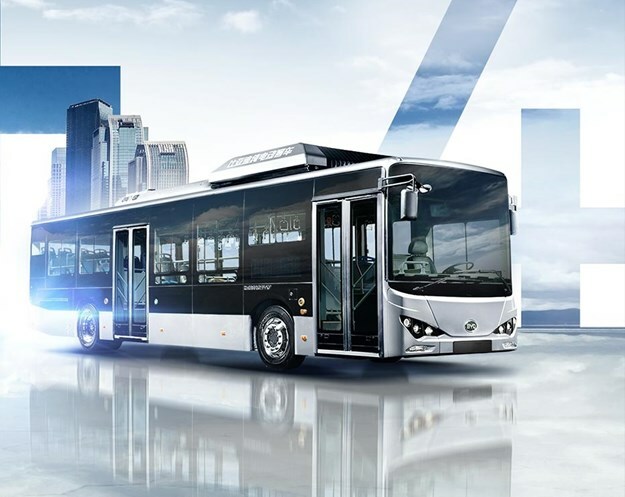 According to the report, for a temporary period the electric bus will be heavier than an equivalent diesel bus due to extra weight from the batteries. Due to the weight restriction on vehicles, this will normally limit the number of passengers onboard. It says, "Consequently, for a fixed activity, a bus line may require additional buses to transport the passengers. Therefore, we suggest that a temporary weight allowance for zero emission buses should be considered by the European Commission and member States." "The city of Paris has allowed electric buses to carry one extra tonne, which is an important factor in the success of Paris’s transition to overnight charging electric buses since it enables their electric buses to carry as many passengers as a diesel bus." Campaigning for smarter, cleaner transport in Europe, Transport & Environment says its, "…policy should minimise harmful impacts on the environment and health, maximise efficiency of resources, including energy and land, and guarantee safety and sufficient access for all." Its work is focused on the areas where European and global policies have the potential to achieve the greatest environmental benefits. These include transport pricing so that polluters, not society, pay for pollution, setting standards for the cleanest possible cars, vans, lorries, ships, planes, and fuels, and greening EU investment in transport, it says. Transport & Environment adds that it is non-profit and politically independent and, "…we are strong believers in the power of science and evidence in policymaking. We commission and execute numerous pieces of cutting-edge policy research to shape and underpin our views." Established in 1990, T&E represents 58 organisations from 26 countries across Europe, mostly environmental groups and campaigners working for sustainable transport policies at national, regional and local level. All together its members and supporters represent more than 3.5 million people, it states.